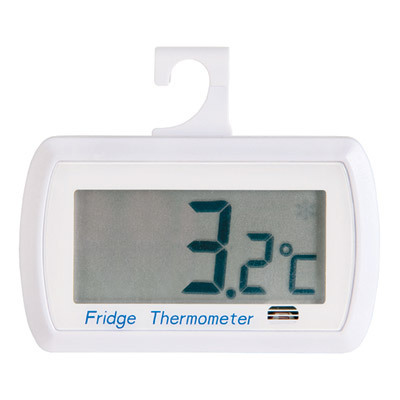 Ensure the safe storage of your refrigerated foods with our Digital Fridge Thermometer. This portable device is a freestanding device that can also be hung from a shelf in the fridge and includes an energy saving feature which switches off the unit when light cuts off. Suited for recording temperatures between -9.9 to + 49.9°C with a 0.1° C resolution, this waterproof thermometer helps to reduce food waste and helps to monitor your appliances performance at all times.